Prior to the main meeting help in a committee room an initial meeting took place with senior people from the union, one of the Q.C.’s, myself and two other carers. At the meeting the frame work was discussed, the building of a legal case, current case work being undertaken that is intended to build momentum and the approach to be outlined to the principles attending the meeting from across the political divide. This was intended to be meeting 6 of 6 but at least two further meetings are now planned but as, yet no dates have been set. Sir Martin Narey and the Minister have both been invited and are expected to attend one of the next two closed meetings. It was also said that the last meeting was streamed and viewed by 18,000 people and that this session would be live streamed and then made available to members and subscribers. This month’s meeting continued to gather evidence but was dominated by Jason Galbraith-Marten Q.C. a leading employment barrister who presented the Foster Care Workers Bill and Aidan O’Neill a senior Q.C. who specialises in workers rights and E.U. law who gave his view on the bill and spoke of the wider E.U. legal position. Initial speakers from the union highlighted cases where councils had acted bad faith or bullied Foster Carers to cover the council’s own errors and mistakes. Leeds was singled out and two examples of malpractice were provided. One where a family who complained about the service had the children removed citing a complaint and then told the mother that her own children were considered to be at risk and that an investigation was under way to examine the family. The mother contacted her association and the union and finally faced with hostility from the social worker and line manager ran away with her children. When senior union people met with senior management representatives it was clear they new mothing of an investigation and reassured the father there was no case and the council had no intention of removing the birth children from the family. The result was that the alleged case was dismissed, and the foster children were returned but no action was taken against the social worker or the line manager. The second example told how the acute shortage of carers in Leeds partially caused by the authority’s poor attitude resulted in February and March of a young 15-year-old boy being housed in a tent in a wood whilst being supported by two social workers? 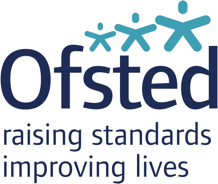 The previous boys’ carers tried to take the issue to Ofsted but were told that Ofsted whilst it had a right to look at issues it would not talk to individual carers. There was still much discussion of the view that the LADO process is seen as a kangaroo court with no representation being allowed for the foster carer and no support being provided to those carers involved. Having already spoken how Suffolk are tackling this issue I saw no reason to repeat what we are doing. The point of these discussions seems to be to try and build a case for the LADO process to be taken away from local authorities and placed with an independent body. Jason Galbraith-Marten then spoke from his expert opinion on the proposed bill, his views are summarised as follows. · In law a person can be employed even if for tax purposes they are self employed and therefore must receive some basic rights and protections. · Signing a contract or governing document that describes how you work, applies any conditions and requires the signatory to undertake certain aspects of that work, means that the provider of services is employed even if they have agreed to be self-employed. · Any document that provides supervision of that document and or the participants is deemed to be a contract of employment. E.U. law describes this as a person working on any form of contract is defined by the relationship it creates thus any document signed whatever it is called creates a contractual relationship. Thus, any document that says it is not a contract is wrong. · Current case law dates from the 1990’s which in labour law terms is considered to be out of date. · The employment law has moved on and a recent case in Scotland against Glasgow council proves this point where the carer won the case. The council are set to appeal, and it is the unions hope that they present a case to win the appeal so that the union can take the case to the supreme court where it is strongly considered that union backed case will win and thus over turn the 1990 case history. Opening the opportunity for a raft of people to follow suit and bring action against councils in the rest of the United Kingdom. · It is also likely that an amendment to exiting law to included Foster Carers to the list of employed special category people is possible with precedents already set by the Police, the Crown Office, House of Commons staff, House of Lords staff, Taxi drivers, and PHD students who work at the at the Nation Gallery as part of their education who are already covered and enjoy workers’ rights and status. · The Q.C. is also looking at the making of complaints by cares and says in future any complaint against the service they work for should be made as a protective disclosure meaning that the carer cannot in law suffer a detriment to their employment and that the carer would enjoy protection under law. 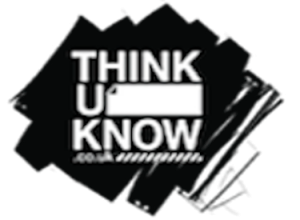 · Whistle blower legislation under the 1966 act tends to show that if a criminal offence is likely to result in a prosecution or that a breach of Health and Safety law occurs the whistle blower must be offered protected rights and must not be affected by the complaint. Aidan O’Neill spoke and concurred the view of the previous speaker and added his voice to the demand for a separate body to control the registration and deregistration of all carers to protect carers rights. In summary his legal arguments were. · The 1990 case laws should be deemed as no longer relevant as both legislation and recent case law supersede the historical situation. So, he is looking forward to the supreme court overturning old case law and is aware of cases currently under review. · In the E.U. one case has been taken all the way through the system to the supreme court of justice and has been won setting a precedent where Romanian Foster Carers claimed they were employed when their authority tried to argue against it. The main points being they worked under supervision, they received payment and that a contractual arrangement existed. · Should the U.K. stay in the E.U. then the case could be used here to change carers status quite quickly. · The working time directive cannot be applied as it limits hours worked so any change in carers rights must included an exemption from this act. Failure to do so would provide the potential for claims on back pay, holiday pay etc and this would not be supported by the political masters for obvious reasons. · The bill would be presented to parliament as one of several approaches to build pressure un the government to adopt it. · Carers are not covered currently by the Childrens Act, but this could be amended quite easily in his view. 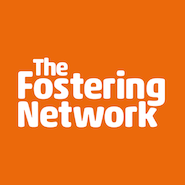 · The need for carers to have insurance support is currently provided from a number of sources including the Fostering Network. Prior to the meeting a previous chair of Fostering Network tried to elicit the number of people who had been supported by their insurance or the amount that had been paid out. Unfortunately, they refused to answer those questions even to a previous chair. In response to questions from the floor about the process, time scale and expect outcome the view from the Chair, the Q.C.’s and the union head can be summarised as. · The full Bill is not going to be presented until after the next election due to other pressures. · The best way forward is for the legislative process to be supported by court action and to this event a number of successful cases have been won although currently only one of those involves a Foster Carer. 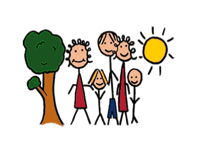 · One way to increase pressure for a bill is for a cross party group to have sufficient meetings in the House supported by a good group of Foster Carers to enable the committee to produce a report supporting the bill which elevates the bill into the government legislative process. · A private members bill could be used but it needs the speaker to be willing to allow it and as normally only 20 such bills are allotted per session currently this could be a slower route. · Partitions would also elevate the process, but these only require the subject to be discussed and often do not produce any action unless supported by other actions. · A 10-minute bill could be used but as the subject is lengthy and very few 10-minute bills have actually resulted in a change of law this is considered to be a waste of time. · One back door route currently being considered is for a “friendly” council’s scrutiny committee to advise its council that it should about both the carers rights as contractual and then press for a central registration process to reduce costs and manpower pressures on its council. · If as hoped Sir Martin Narey and or the Minister do attend, then the process if they are minded to support the process would result in the bill gaining speed in the House. It was considered that a 2-year window would be a quick process, whilst a three-year window in not uncommon.